This is an excerpt from a speech that President Kennedy gave at Rice University in Houston, TX in September 1962. In just 1 more month, the nation would be embroiled in the Cuban Missile Crisis. In this speech, JFK states clearly why we were going to go to the moon. It’s a 3 minute clip, and the style and amazing skill of JFK as an orator are simply amazing… Watch how he works the crowd. On Monday and Tuesday we’re headed to Space! I’ve been threatening to do it for a couple of weeks now, but this time I’M serious! We’re going to be covering the Space program this week. The Apollo project, along with the Manhattan Project are the two greatest scientific and engineering feats in the history of mankind. A thousand years from now, people will still be talking about how man first left the confines of Earth and set out for the Solar System. See you Tomorrow! This is the assignment for the movie we watched on March 4 & 5. If you missed that day, watch the videos posted below, and you should be able to answer the questions. Please let me know if you want to watch the whole film. The first clip is from the History Channel analysis of the Assassination using computer animation we watched on March 3 & 4. It’s definately a secondary source, but it does a great job of incorporating the Zapruder film in the analysis. In 1991, Oliver Stone directed JFK, it starred Kevin Costner, who played a crusading District Attorney who tried to get to the bottom of the conspiracy to kill the President. The central theme to the conspiracy is that there was a second shooter in Dallas, who was responsible for the murder of the President. In the minds of conspiracy theorists, Lee Harvey Oswald is at best a co-conspirator, at worst a patsy placed at the scene of the crime as a fall-guy, and to provide an alibi for the actual murder. The film JFK was so popular that it has BECOME a secondary source to many people. It provides what it calls evidence that there was a conspiracy to kill Kennedy. Kevin Costner, played a District Attorney trying to get to the bottom of “the conspiracy” to kill Kennedy. He re-enacted the assassination during a very dramatic scene during the movie. Personally, I think the movie JFK is very well directed and acted by two of Hollywood’s great talents. It’s dramatic and exciting, but it is quite possibly the single most ridiculous piece of conspiracy theory trash ever shown. Because the movie was so popular, many people think that it is the truth, and the evidence that it shows is the only answer for the assassination. 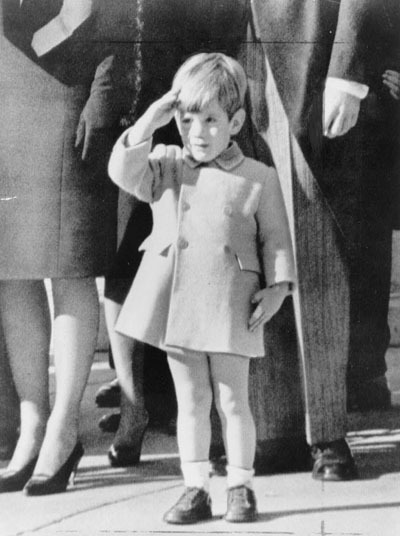 Thursday Feb 28, and Friday Feb 29 we’ll be focusing on the Kennedy Assassination. It was an incredibly traumatic time for millions of Americans. Many people who were alive then could tell you exactly where they were, and what they were doing when they found out that the President had been killed. A similarly traumatic event would be the Challenger (space shuttle) disaster in 1986, and the terrorist attacks of 9/11. Attached here is a digitally corrected, and stabilized image of the Assassination. This video is THE primary source document of the assassination, but no video has generated more controversy and conspiracy theories than this one. The video was shot by a man named Abraham Zapruder, who was using a hand held color film recorder, they were fairly rare for the time. We’re very lucky that the film exists at all. I want to warn my students that the video is extremely graphic. If you are at all sensitive, or do not want to view the video, please feel free to avoid clicking play. A note about the video: the black colored blocking on the sample is stabilization for the images. It was a hand held recording, the blocking allows for a more stable image.